It’s National Invasive Species Awareness Week, and Oregon Sea Grant has resources to help you take action against non-native animals and plants that can wreck native habitats and out-compete the local fauna and flora. Check out our aquatic invasive species publications, many of them free for downloading. Don’t miss our popular Stone Soup (c) lesson plan on incorporating cartooning with invasive species education. Download the free teachers’ guide and students’ guide. Follow our WISE blog for essays by teachers, OSU interns and others offering practitioners’ perspectives on invasive species education. NEWPORT – Spots are still open for two popular, day-long youth education programs offered by Oregon Sea Grant’s marine educators at the Hatfield Marine Science Center this fall. Registration costs $25 per student. Information and registration are available on the HMSC Visitor Center website. Home School Day, Nov. 6 from 10 am to 4 p.m., is a family program with activities grouped into “strands” of fun and educational activities families will follow all day. Registration is $25 per person. Learn more and register at the Visitor Center website. NEWPORT – Registration is open for the 2015 Coastal Learning Symposium, an annual event aimed at giving pre-K-12, informal and post-secondary educators creative ways to address learning objectives using the ocean, forest and community as context. The symposium, which takes place Oct. 9 at the Oregon Coast Aquarium in Newport and OSU’s Hatfield Marine Science Center, features break-out sessions by Oregon Sea Grant, Oregon State Parks, the Oregon Forest Resources Institute and several learning technology companies, on topics ranging from Connecting Math and Science: Exploring the Math in Boyle’s Law data to Creating Art in Nature. Field trips include learn-to-surf and paddle-board workshops at Agate Beach emphasizing beach and ocean safety, and guided interpretive walks of Yaquina Head and Brian Booth State Park, Oregon’s newest coastal park. Greg Smith, professor at Lews & Clark College’s Graduate School of Education, will deliver a keynote address, and the day will culminate with a Learning Symposium Cruise of Yaquina Bay by Marine Discovery Tours. Schools sending three or more teachers receive 30% off registration fees with the promotional code “GROUP” if they register by Sept. 25. Graduate credit is available through Portland State University. The symposium is part of the COASTALearning series, a project of the Oregon Coast Aquarium and Lincoln County School District. Our Oregon Sea Grant Scholars program offers a variety of marine science, policy and education opportunities for undergraduate and graduate students. NEWPORT – Seventh and eighth grade girls on the Oregon Coast can get a taste of what it’s like to be an engineer or marine scientist at a free overnight camp Aug. 17-18 at OSU’s Hatfield Marine Science Center and the neighboring Oregon Coast Aquarium. Sponsored by the Oregon Coast STEM Hub, the camp will give girls a chance to work with researchers at Hatfield Marine Science Center in the labs and in the field, and enjoy behind-the-scenes tours with women in aquarium careers. They’ll also get to spend the night in the Shark Tunnel at the Oregon Coast Aquarium! Meals are provided. Registration is limited; learn more and sign up at http://ow.ly/PrC5W. Newport, OR — Two Oregon educators head out to sea this weekend to take part in a research buoy deployment aimed at learning how changing ocean conditions affect sea life in Pacific Northwest waters. The deployment, aboard the University of Washington’s R/V Thomas Thompson, takes place over Memorial Day weekend in NOAA’s Olympic Coast National Marine Sanctuary. Ben Ewing of Lincoln County School District’s Toledo High School and Cindy Bryden from the Haystack Rock Awareness Program are joining others from from Washington state to learn more about oceanographic research addressing critical issues affecting the region’s coastal and inland waters. The teachers plan to incorporate the research and their cruise experiences into their classroom and education programs. This cruise will deploy a moored buoy system with sensors to monitor ocean and weather conditions off the coast. A Seaglider, an autonomous underwater vehicle, is part of the observing array and will be deployed as well. These instruments are part of a larger observing system known as NEMO (Northwest Enhanced Moored Observatory). While at sea, the team will conduct water and plankton sampling as part of Washington Ocean Acidification Center monitoring for ocean acidification. Ewing will also be deploying the SS Dolphin, a five foot unmanned sailboat built by Sunset Middle School students in Coos Bay. This student-built sailboat is equipped with a GPS unit (Global Positioning System) so Oregon students and the public can track its journey as it rides the wind and currants across Pacific waters. Funded by the Oregon Coast Science, Technology, Engineering, and Mathematics (STEM) Hub, the SS Dolphin is the second student-built boat to be deployed in the Pacific by research vessels this school year. 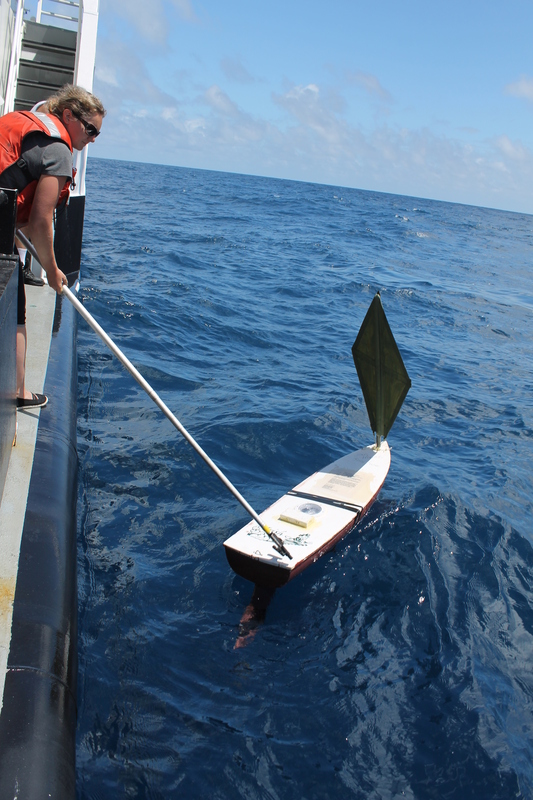 Plans are underway for Hatfield Marine Science Center researchers to deploy a third student-built boat at the Marianas Trench near Guam in June. Based at Oregon State University’s Hatfield Marine Science Center, the Oregon Coast STEM Hub is one of six regional STEM Hubs funded by the Oregon Department of Education. With more than 50 active partners, including Oregon Sea Grant, the Oregon Coast STEM Hub serves coastal teachers, students and communities along the Oregon coast, connecting them with regional resources and providing world-class STEM experiences. For more information contact Tracy Crews at OregonCoastSTEM@oregonstate.edu. Schools, communities and organizations across the state will take part May 2-10 in STEM Week Oregon, a statewide movement to raise awareness, celebrate and engage young people in learning science, technology, engineering and math. There’s still time to get involved, by joining in an activity that’s already planned – or coming up with your own. Teachers and their students, parents and their children, community groups and businesses get ideas and register their events at http://stemoregon.org/stemweek/ . Organizers also invite STEM professionals and companies to volunteer at local schools, talk about their careers and research, or host a field trip for students during the week. Colleges and universities, meanwhile, are invited to host STEM activities for students and the broader community, and encourage students and faculty to sign up with STEMOregon for more ways to get involved. 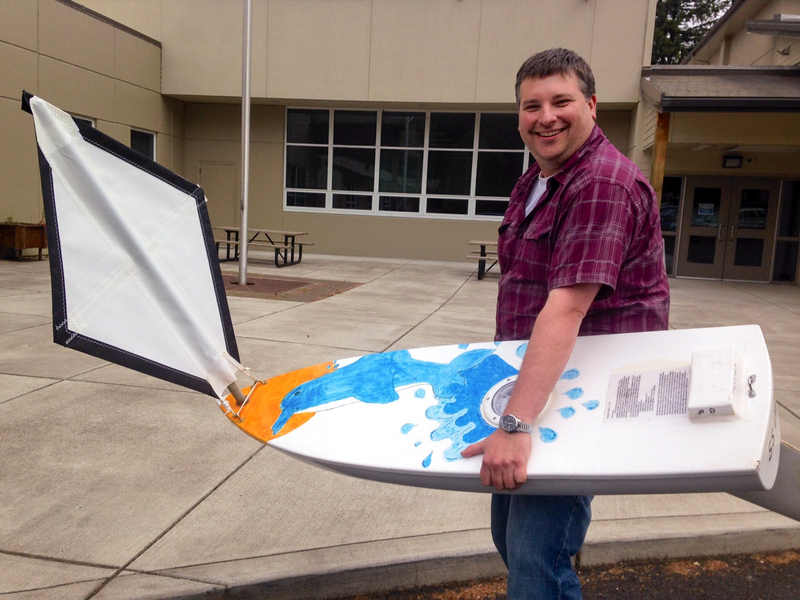 WALDPORT – Students at Waldport High School are excited about today’s successful launch of their unmanned sailboat, Phyxius, near the Equator by OSU’s R/V Oceanus, as part of a long-term national project to better understand ocean currents and transport patterns. The project, organized by Oregon Sea Grant and the Oregon Coast STEM Hub, is part of NOAA’s Educational Passages program, which enlists science, technology, engineering and math classes to build the miniature vessels and set them loose in ocean and coastal waters – and follow them via a NOAA tracking site to see where they go. More than 40 of the drifters have been launched since the program began in 2008. The unmanned mini-sailboats are self-steering and equipped with GPS tracking devices to study ocean and wind patterns and much more. The five-foot vessels sail directly downwind month after month. As these boats travel the oceans, students can track them via http://www.nefsc.noaa.gov/drifter/ and learn and improve their skills in map reading, geography, earth science, oceanography and more. Waldport’s is just the third drifter to be launched in the Pacific. Most of the others have been launched into the Atlantic, Caribbean or Gulf of Mexico. Drifters have landed in Europe, the Caribbean, Cuba, Bahamas, Panama, Newfoundland, and Nova Scotia as well as many other places. Some have left Portugal and closely duplicated Columbus’s route to the new world, and another spent time on display in an Irish pub. 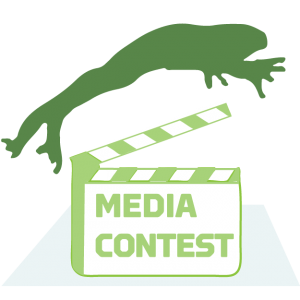 Oregon Sea Grant and the Oregon Invasive Species Council are enlisting high school students and teachers across Oregon in a multimedia art contest, “Don’t Let It Loose,” urging classrooms to avoid releasing school pets and lab animals into the wild. Winning student artists and their teachers will receive prizes of up to $400 in each of two categories: static images, and moving media including videos, animations and motion graphics. In particular, organizers are encouraging entries that can be translated into mobile apps and other new technology. Entries will be judged on how well they convey the “Don’t Let It Loose” message, their visual effectiveness (is the message memorable? Does it compel action? ), universal appeal (is the message clear to everyone, regardless of age, language or education level?) and originality. The contest ties in with an ongoing educational campaign created by Sea Grant’s Watershed and Invasive Species Education (WISE) program, which works to bring invasive species education into the classroom via teacher training, lesson plans and classroom activity guides. The program focuses in part on the perils of turning non-native classroom animals loose in the environment, where they can out-compete native species and become major pests. The program got a boost last year from Oregon cartoonist Jan Eliot, whose popular syndicated cartoon “Stone Soup” featured a storyline about the issue, and who permitted Sea Grant to use her cartoon image in its education campaigns. 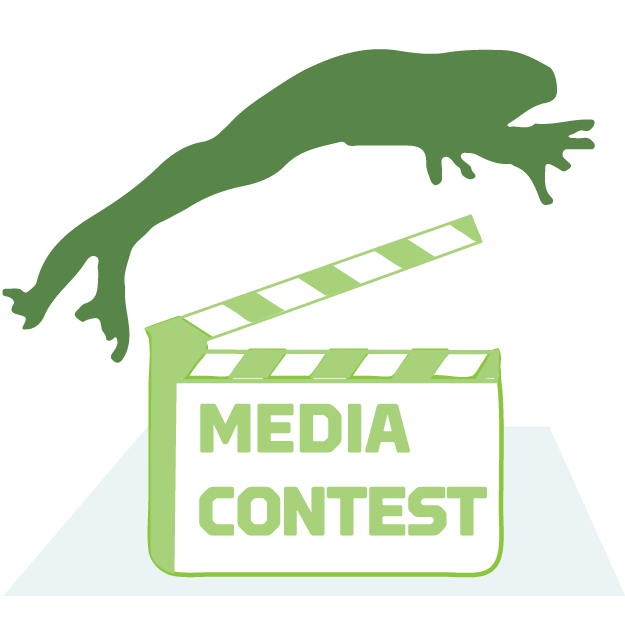 For details about the contest, which has a March 15, 2015 deadline, visit the OISC Website. NEWPORT – Oregon Sea Grant and the Oregon Coast STEM Hub are partnering with the Oregon Coast Aquarium and Lincoln County School District to run the annual COASTALearning Symposium in Newport on October 9 and 10. This professional development event is expected to reach 350 teachers and administrators on the Oregon Coast and focuses on using marine science and coastal natural resources as a context for learning across grades and subjects. Breakout sessions include topics such as Marine Debris, Fish Habitat and Passage, Ocean Engineering, Watershed Studies, Stewardship Projects, and more.